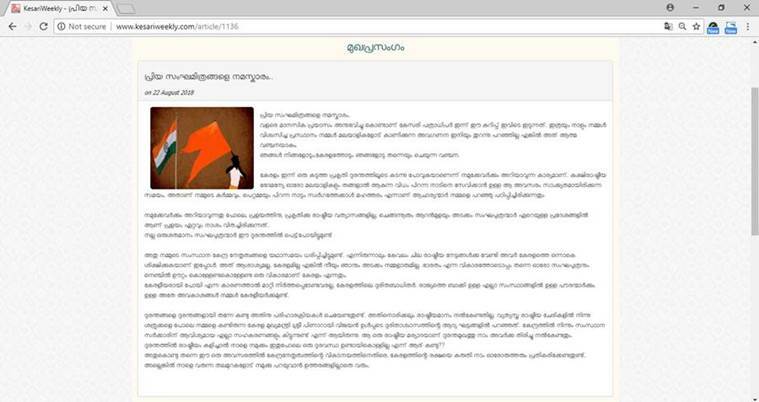 Malayalam weekly Kesari which is the RSS mouthpiece in Malayalam removed an editorial which criticised the Centre's handling of the flood crisis in Kerala. The editorial criticised the Centre, saying it is acting with some sort of revenge towards the flood-ravaged state. The editorial was after some time removed, however, the editor claimed that the website was hacked. 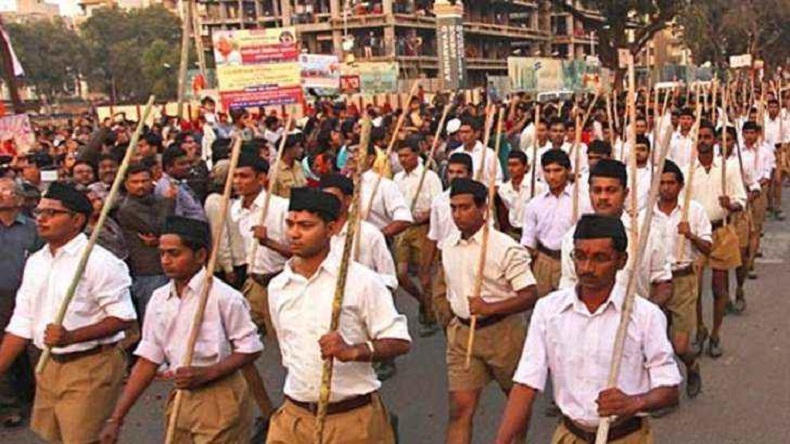 The Rashtriya Swayamsevak Sangh (RSS)-linked Malayalam weekly named Kesari on Wednesday, August 22, removed an editorial from its website which flaked the ruling dispensation’s handling of flood crisis, claiming that the site was hacked, as reported by The Indian Express. The editorial criticised the Centre and said that it is acting with some sort of revenge towards the flood-ravaged state. The editorial was removed from the website just a few hours after it was published and ran a ticker by refusing to acknowledge the article. The editorial said that the ruling dispensation is aware of the fact that a large number of Sangh followers have been affected by the floods, but the whole state is being punished by political gains. A report according to The Indian Express said that the article was replaced by another old piece, titled, ‘Not religion, a country is important’. Meanwhile, the Centre on Tuesday released Rs 600 crore, while the state has sought the assistance of Rs 2,600 crore for the relief measure. Due to massive rains, schools have been shut down after many areas in the state were inundated, distribution of drinking water, power supply and communication systems came to a halt in various parts of the state. The grim situation caused by floods in the state has claimed more than 370 lives and more than 3.14 lakh people have been moved to relief camps.